I still have a problem with the distances between the lines. I did various tests, always re-leveled and experimented with flow and altitude. Although I was able to improve the result by melting more material, that is up-lubrication (filling the space) and not a clean line connected next to the other. By now I think that my leveling is good and there is another reason. I print with an Ender 3 and drive the first layer with 210° Nozzle and 70° bed. Does anyone have an idea how to improve the line spacing? I've experienced these kind of problem too. Unfortunately, I could print with a certain extruder only. All other extruders are failed. I guess that this specific extruder raised enough pressure on the filament to archive the correct flow. All other extruders, though, transported correct filament when I measured the transportation distance. But on duty, they failed, except this self-printed one. I can't remember which one I used, but I may take a closer look when I'm home again. But you should take a close look at your extruder to check wether some parts are not as fix and solid, as you assume. Well, the same symptoms does not mean the problem or reason, anyway. But I remember those lines very well. 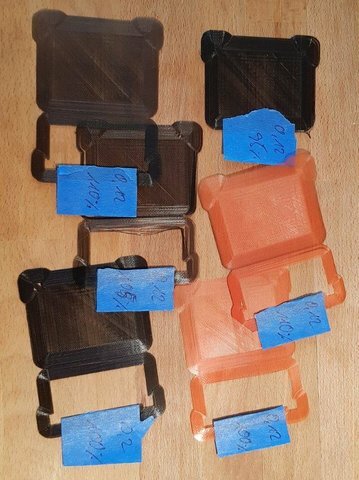 This is underextrusion and is the most common problem that people run into with 3d printing. The bottom layer is extra complicated because leveling affects it so much. Your underextrusion is only about 20%. However it looks like you showed us a tiny bit of the second layer as well and it's also underextruding by a bit. The most common cause is simply "printing too cold and too hot". 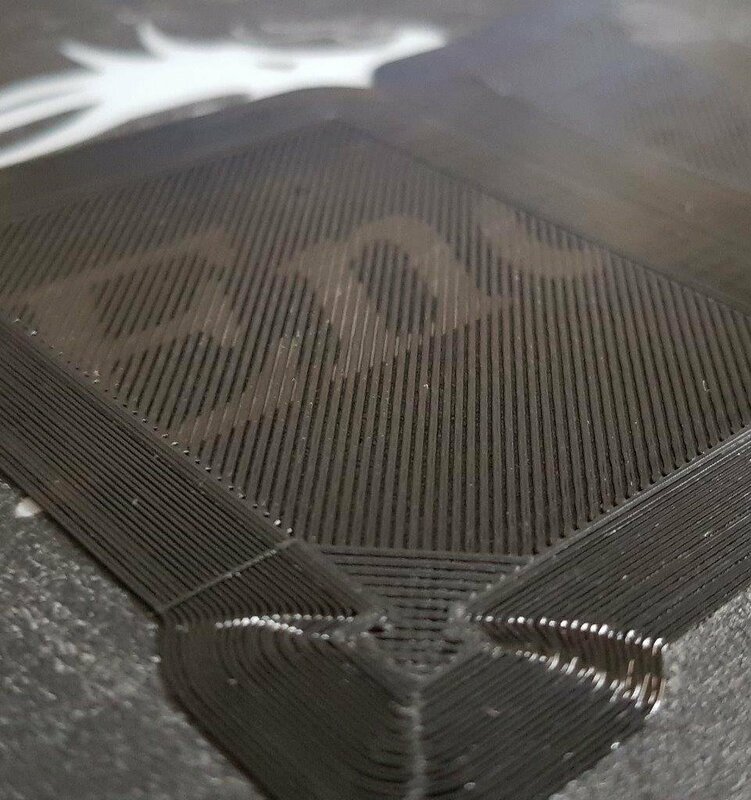 To get no underextrusion at the above speeds your feeder needs to push 3mm filament with about 2kg of force (1.75mm filament with .7kg of force). Most feeders can push twice that hard. So the above speeds are conservative. These temperatures are for Ultimaker2 and different printers differ a huge amount as the nozzle is always cooler than the temp sensor but by how much is different for every hot end design. So another test is to fight the feeder. See how hard you have to pull on the filament to make it slip backwards. This will let you know if the problem is in the cold end or the hot end. I will do that check, thankyou! interesting, I will see to follow yur advice, thanx!